Peace, Love & Scrapbooking: Homework + Crafts = Smiles for All! Homework + Crafts = Smiles for All! Hello everyone - I am so sorry I have been MIA with craft projects and reviews over the past few weeks. My daughter's appendix ruptured over two weeks ago and we are still at the hospital. She is improving daily, but we have a long way to go. We are trying to keep up with her school work and trying to make it fun (since not much else is!). As the nurse was writing her name on the whiteboard, I had an idea! I went to Walmart and purchased a plate. Even though I am totally exhausted, the previous sentence is not an error. I purchased a plastic plate for $1.97. 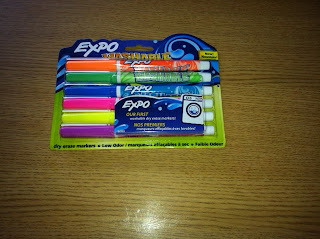 I also purchased dry erase markers in bright neon colors. They are also WASHABLE! Who wouldn't love that! 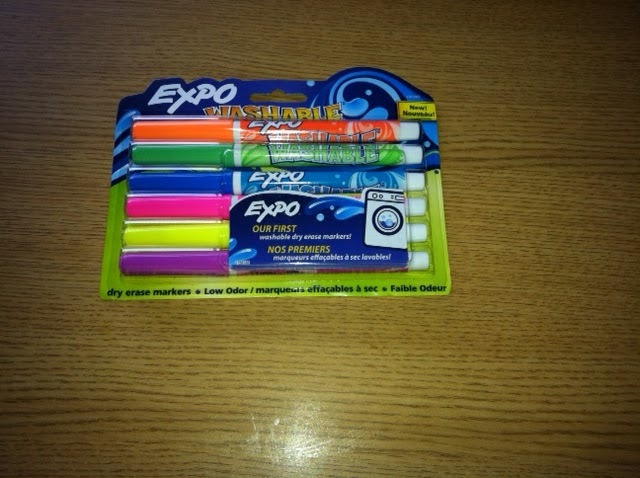 The pack of 6 was $7.97. So what in the world does a plastic plate and dry erase markers have to do with home and crafts? Well, let me tell you. We would ask Allie to spell one of her sight words and she would write them on the plate using the colorful markers. Next she had to draw a picture and write a sentence using the sight word. The creativity and fun just started to flow. Next, we moved to math. I would write the problem and she would write the answer. Who knew homework could be so much fun! 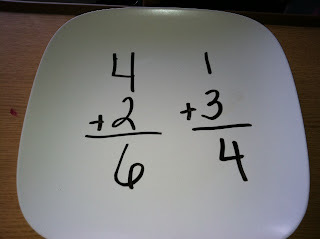 I purchased some extra plates and markers and took them home to my other two kids. 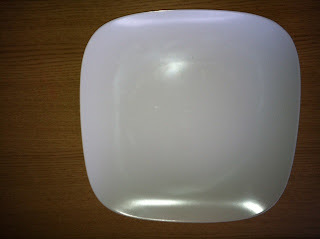 We practiced for the week's spelling test using the plates and they LOVED it. Any other ideas you can come up with! Hope this helps make your homework go more smoothly and everyone is happy when it is done! Get creative and have a great weekend!